SHELL Air Tool S2 A 100 has been developed to meet the special lubrication requirements of pneumatic tools, including percussion type pneumatic tools subjected to the most arduous conditions. Designed to maintain high oil film strength and effectively lubricate even the most demanding requirements of pneumatic drill impact mechanisms as well as providing excellent mist lubrication of general purpose air tools. 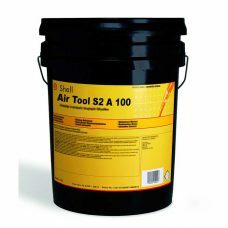 SHELL Air Tool S2 A 32 has been developed to meet the special lubrication requirements of pneumatic tools, including percussion type pneumatic tools subjected to the most arduous conditions. Designed to maintain high oil film strength and effectively lubricate even the most demanding requirements of pneumatic drill impact mechanisms as well as providing excellent mist lubrication of general purpose air tools. SHELL Argina T SAE 30 is a medium-speed trunk-piston diesel engine oil operating on residual fuel. Argina T is designed for conditions of moderate oil stress. 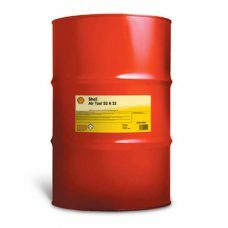 SHELL Argina T SAE 40 is a medium-speed trunk-piston diesel engine oil operating on residual fuel. Argina T is designed for conditions of moderate oil stress. 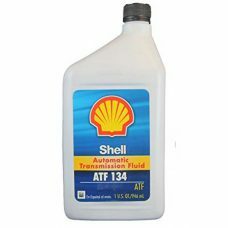 SHELL ATF 134 is a full synthetic, automatic transmission fluid specifically designed and approved for use in Mercedes-Benz 5- and 7-speed automatic transmissions and NAG2V Sport transmissions. SHELL Caprinus XR SAE 20W-40 is a premium zinc-free, and chlorine-free railroad and marine engine oil with an established history of providing outstanding engine cleanliness. Recommended for medium speed two-cycle and four-cycle diesel engines used as auxiliary or main engines in marine service or as switching locomotives. SHELL Caprinus XR SAE 40 is a premium zinc-free, and chlorine-free railroad and marine engine oil with an established history of providing outstanding engine cleanliness. Recommended for medium speed two-cycle and four-cycle diesel engines used as auxiliary or main engines in marine service or as switching locomotives. 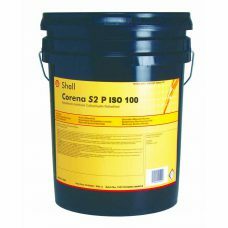 SHELL Corena S2 P 100 is a high quality mineral air compressor oil designed to deliver the lubrication performance for high pressure reciprocating compressors.